Booked Hotel G in Milan through Venere. I've booked Hotel A in Cremona by email, and phoned today with CC details. All hotels are now booked except London, which can wait for next year when Travelodge, etc. should have some offers. 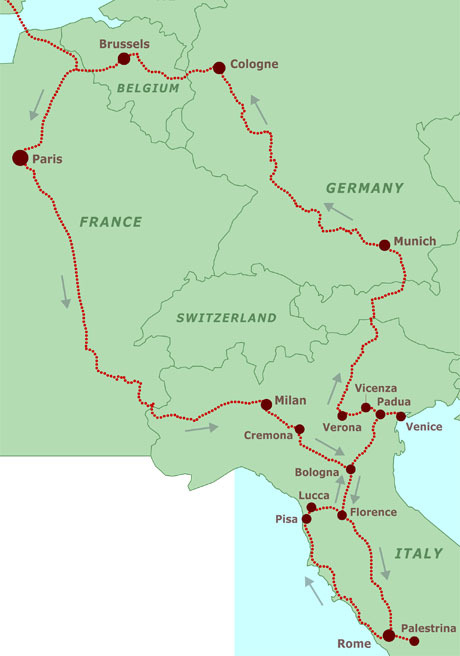 The average price is reasonable, comparing well with the first Grand Tour, and I think I’ve done pretty well considering I'm visiting Rome, Florence and Venice. Set up a Train List, to keep track of the travel planning.